Maker Mondays are coming to WILDWOOD LIBRARY! 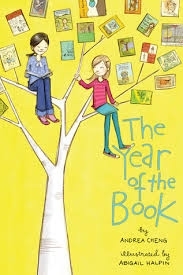 4th and 5th graders are invited to join us after school to make bags from the MCBA book "Year of the Book" Andrea Cheng. This is a 4 week club starting on Mon. Oct 15th! These mini-workshops will be offered throughout the year so that each grade level will have an opportunity to participate (1st - 6th). Space is limited to 20 students.